Reviewing Vember Audio’s Surge synth over a decade ago, we said: “This is a big, beautiful-sounding instrument. 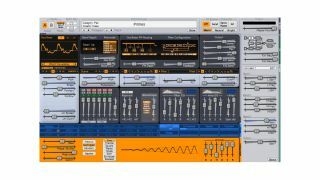 It's not cheap, but few plugins of this quality are.” Well, the sound hasn’t changed, but the price has; in fact, Surge has just been made free and open-source. Thanks to its wavetable oscillators and FM-style algorithms, Surge is capable of creating some pretty sparkling sounds, but it also has analogue-style functions that make it suitable for producing vintage keyboard tones. Vember Audio says that it’s been set free so that it can continue to be developed by the community and remain compatible with current standards and operating systems. You can download Surge for PC and Mac from the Vember Audio website. It runs as a VST and AU plugin.